Shop Information See Customer Service in shop for your order and shipping information. There is one major goal of every person, teacher, coach, team, and organization and that is to motivate and inspire every individual, community and organization to becoming positive role models for individuals, families, employees, customers, companies and the country to achieve the highest potential so that they are leaders in their communities which they are focused to make this world a better place to live and grow. Inspired by Greatness is the first steps toward greatness because it a message to keeps you focused on achieving personal success by motivating and inspiring you. Inspired By Greatness  IF YOU WANT TO BE GREAT, YOU FIRST HAVE TO BE INSPIRED BY GREATNESS! 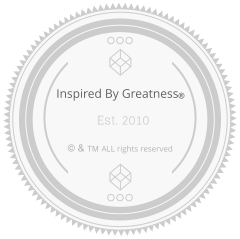 INSPIRED BY GREATNESS is a message that encourages you to reach further, strive higher and challenges you to be your best to achieve your total potential. Inspired by Greatness simulates and motivate you about living, working and competing with a passion and to always put your best foot forward to lead and inspire others in culture, sport, and change that reflect the best we can be through achievement by performance in a competitive world. Because Inspired by Greatness is not about somebody else being great but about you becoming great. It’s simply, it’s in the name. See our shop for customer service for order and shipping inquiries. If you want to be Great, you first have to be INSPIRED BY GREATNESS! 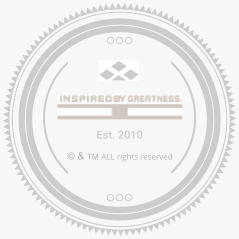 Welcome to INSPIREDBYGREATNESS.com website Visit our shop and be INSPIRED BY GREATNESS!